A Toronto couple was thrown a last-minute wedding in the city's historic Casa Loma thanks to a crowdfunding campaign that raised more than $50,000, after the groom recently learned his cancer is terminal. Solomon Chau and Jenn Carter have been together for seven years – the last few months, however, have been difficult for the couple. Last December, Chau, 26, was diagnosed with liver cancer and underwent surgery to remove the tumour. 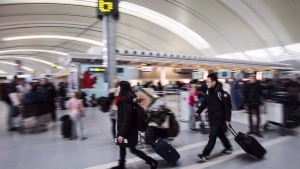 Doctors told Chau -- a chef who is originally from St. Catharines, Ont. 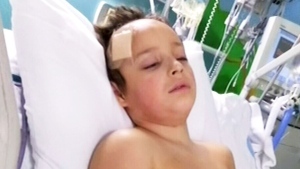 -- that the surgery had been successful, but in March he was rushed to hospital with severe stomach pain. Chau learned that his cancer is now terminal. "He was told that the cancer had spread, and that his remaining time would now be measured in months," the crowdfunding site says. After learning the devastating news, the couple moved up their wedding date to this weekend. To help pay for the couple's wedding, their friends, family and even strangers donated money to a crowdfunding campaign. More than $50,000 was raised in 11 days to help pay for the wedding and a honeymoon. The couple exchanged their vows at Casa Loma Saturday evening. 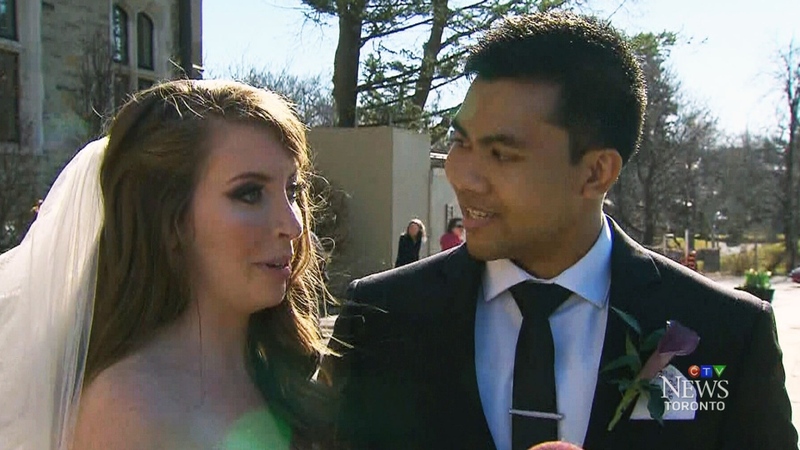 "I'm on cloud nine right now," Chau told CTV Toronto Saturday ahead of his nuptials. "We can’t thank them enough. It’s so overwhelming, there’s so much love coming in." Prior to their big day, Chau and Carter said they had no idea what had been planned. "Who shows up to their wedding and doesn't know a thing?" Carter said. "And it's all paid for so we’ve been incredibly lucky." Chau's colleagues also pitched in to help with the wedding, with many volunteering their time to help plan the event. Approximately 60 guests attended Saturday's wedding.